Another day, another article about losing weight. 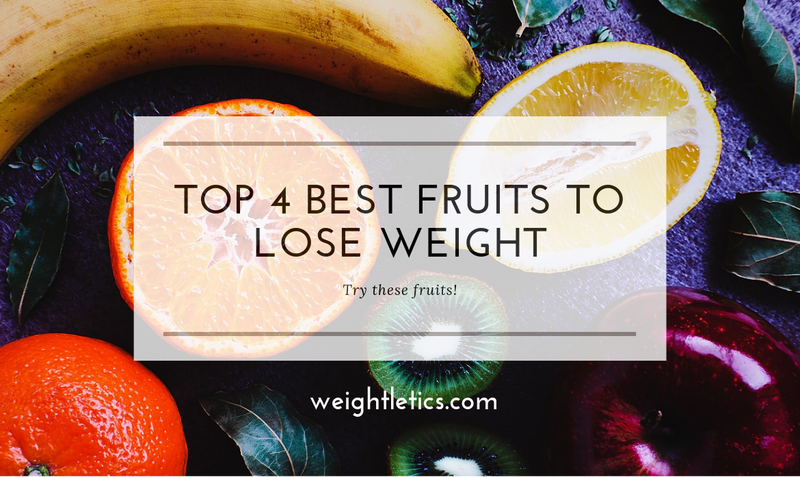 We all know that some foods must be avoided if you follow a weight loss diet but let me tell you about the best fruits to lose weight, fruits that accelerate the weight loss. Losing weight is a long and complicated process. You make all kind of efforts, but you crave for sweets. It’s not easy to keep a balance between your efforts and cravings. Do not forget, adopting a balanced diet will help you get healthier and get all the nutrients your body needs. Therefore, it is advisable to consume a wide variety of fruits throughout the day, especially in the season. Fruits will be fresh. You will thus gain a much-dreamed body and save money. Avocado is at the top fruits for weight loss because it is delicious, very healthy and suitable for any taste. Avocado contains the fatty acids that speed the metabolism, increase energy levels and helps burn fat. Besides, avocado consumption contributes to moisturizing the skin thanks to its natural fat. These fats are nutritious and healthy, so they do not increase the risk of cardiovascular disease. It is recommended to eat one avocado daily. But if you love this fruit, as much as I do, you can consume even more. You can use avocados to replace creamy foods rich in calories. Lemon is the second on the list of the best fruit for weight loss. It is often recommended in weight loss diets. Besides being cheap and easy to incorporate into various preparations, lemon has a high content of riboflavin, vitamin B and C and magnesium. Directions: boil the water. Place the ginger sliced in a mug, pour the water and add the lemon juice. Allow steeping for 3-5 minutes; for an intense flavor leave it a bit longer. Strain if you like and drink. Another element present in the list of the best fruits for weight loss is red watermelon. A 250 ml glass of red melon natural juice contains only 250 calories. This fruit also contains vitamins A, B, and C, as well as lycopene. It contains plenty of water, moisturizes your body and keeps your sense of satiety for a longer time, with just 30 calories per hundred grams. All these aspects make red watermelon very nourishing and moisturizing, preventing cancer and heart problems. But do not forget that red melon is rich in sugar. Even though its natural sugars, the people with diabetes must control the portions consumed. – It’s poor in sugar, so there’s no problem if you’re diabetic. – Its fiber content improves the digestive process. – You can easily fit it into smoothies. Grapefruit is one of the most famous negative calorie fruits and is available in any season, being one of the most affordable choices for a dietary menu. Pineapple: Rich in bromelain, the enzyme that burns fat and helps you lose weight, pineapple is great in weight loss diets. Besides, pineapple has an antioxidant effect and keeps your skin young. One hundred grams of pineapple has only 30 calories. Apples: Apple has a low glycemic index, so it does not affect the insulin level in your body and keeps your blood sugar constant. One hundred grams of apple have between 45-50 calories, depending on the assortment. Peaches: Both peaches and nectarines are beneficial for your silhouette and your entire body. Peaches and nectarines have fewer calories: just 39 percent of grams! Melon: Even if the melon is sweet and flavored, it does not have many calories. One hundred grams of melon pulp has only 30 calories! Include melon in your summer menu because it is one of the finest fruits that helps you lose weight! Fruits are among the most recommended foods in all diets. In fact, fruits should be eaten every day, and we should choose the fruits of the season we are in. Things change when we are in a diet because it is good to eat only certain fruits. Many studies talk about the power of fruits and vegetables to stop cancer development or prevent cancer and other serious illness. Moreover, fruits are extremely important for shining skin and skin, for healthy digestion and for overflowing energy. It is good to know that the fruits are very easy to digest and metabolize, but only if they are eaten on an empty stomach. So the fruit is eaten as a separate meal or is not eaten at all, especially citrus and melon. If you want a detox, and an effective weight loss, start by eating only fruits for a week. They cleanse the digestive tract much more efficiently and have the role of balancing PhH in the digestive tract. Eat fruits with negative calories which helps you lose weight such as grapefruit, watermelon, apples, peaches, melon, pineapple. Which fruit from the list do you like more? I would be happy to hear your thoughts, just leave a comment in the section below, SHARE and LIKE.